We are dedicated to develop fool-proof animated video presentation software that everyone loves. No coding! No designing experience needed! Everyone can make it! Animiz Software Co. Ltd. is a world leading software development company to develop easy-to-use but powerful animated video presentation software for businesses, education and individuals. Animiz is the simplest all-in-one animated video presentation software to make professional animated videos and gifs for free. Recently it has gained great popularity for its simple software interface, drag-and-drop functionality, cooling animation effects, rich library of free video assets, timely technological supports and the like. Making breathtaking animated videos is always at your fingertip with Animiz. It has been commonly used to create animated video presentations, video course presentations, explainer videos, personal storytelling videos, product demo presentations, animated gifs and the more. 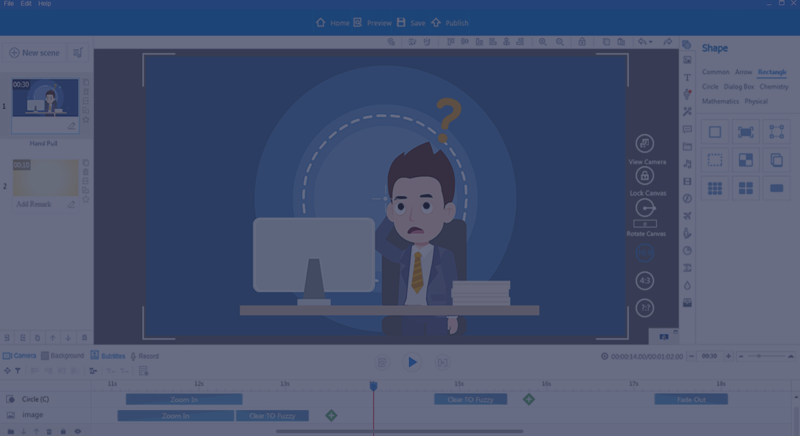 It is the perfect animation video maker for both newbie and pros. We always try our best to provide the best service for our clients and achieve great results. to improve our applications and meet the needs of our clients.